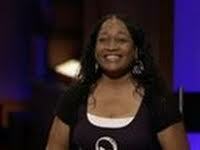 It appears the baby business is booming in the Shark Tank as we have two new inventions made by a Mom, for Moms. Susie Taylor is the mother of two boys that invented the ultimate bib that will last for year's as your child grows. 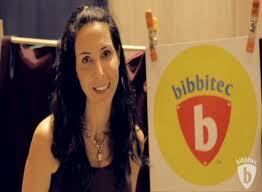 The Bibbitec Bib is a multi-purpose, non-toxic, Made In America product for all kid's 0 to 7 years old. The Bibbitec Bib is a bib, breastfeeding privacy, a burp cloth, changing pad, stroller blanket, an art smock, and even a full body apron. 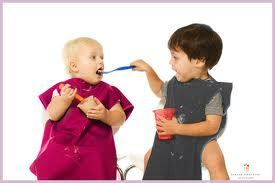 The patented bib's made out of recycled poly-nylon with two different sides. One is a thin fleece, and the other is a thin shell that repels just about anything your kids can spill. It's not a bib specially made just for your toddler, but one with you also in mind. There are so many uses for the Bibbitec that I found one article listing 33 new way's to use the Bibbitec throughout the day. They may have started stretching it a bit, but never the less, some excellent examples of what else you can use this multi-purpose invention on. 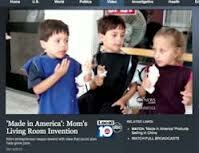 Susie Taylor and the Bibitec Invention was just featured on "Made In America" with Diane Sawyer in September of 2012. Interesting that Susie and her husband Steve are shown in a preview of the Shark Tank before they probably knew for sure that they would be on the show. But having Diane Sawyer talking up your product on national t.v. can only be a good thing, with many more good things to follow. Susie said the orders started pouring in after the brief segment on the World News. This is also very smart of ABC to test a new product's response before committing it to airing on the Shark Tank. Remember the producers of the Show get a stake in the company whether they make a deal with the Sharks or not, so it's in their best interest showing inventions with the most potential. It looks like the Ultimate Bibbitec Bib has met those requirements potentially becoming an enormous success story. What's your opinion of Bibbitec Bibs? From almost everything that I could find, it looks like the key market they are focusing on is the baby market. After watching her son's making brownie's in the kitchen all wearing a Bibitec Bib, my opinion would be to make these mandatory in all kindergarten classrooms. Maybe even a more specialized bib/apron for painters? I have to be the messiest painter there ever was, and something made of this material just might be the answer. I'm not sure I would want to wear something referred to as a bib, even though that's exactly what I probably need. 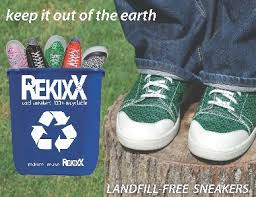 It's a good idea with a Great Patent behind the material and design with several ways of expanding the product line. Yes, I do believe the Sharks will not let this one get away! 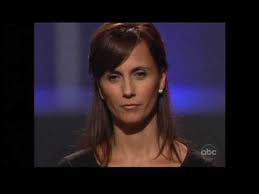 Susie and Steve Taylor entered the Shark Tank looking for $40k for a 14% stake in the Bib Biz. The bibs currently sell for $24.99 and cost $15 to produce. This sends Kevin O'Leary into a hitty-fitty over the costs and says it would be much cheaper buying a bunch of cheap bibs. Susie tries to defend the price by saying the average Mom spends $400 on bibs annually. Annually? That's a hard pill for the Sharks to swallow trying to grasp how many you can buy for that much. The Taylor's already sold around 2000 Bibbitec Bib's over the last four years, and again draws a reaction from O'Leary. They had approx. $17,000.00 in total sales the previous 12 months that now draws a not so good "That's it" from Robert Herjevic. Daymond John says they need to get the production costs down to $5 and retail down to $19.99 to make this a competitive product. Steve, I think, made an enormous mistake saying they only could if they change the material. Isn't that what makes the Bibbitec so unique in the first place? Mark Cuban steps up and offers the Taylor's some good advice when he said "Hire an Internet Marketing Expert and stick to selling directly to the consumer on this product.' This was about the best advice they could get, and no doubt the Taylor's are selling thousands of Bibbitec's on their site after the Shark Tank Show. I hope they were ready for all the thousands of new fans that found their website and hopefully ordered at least one bib. love them! going to website to order. I am a mom who has a 4 year old boy and if I had a bibitec it would have saved me a lot of money and time I have bought so many bibs over the years and they get dirty, smelly,and stained so we throw them away if I had to 2 bibitec bibs my life would have been a lot easier and I would have saved a lot of money....when I watched shark tank I instantly would have invested ....big mistake they made...good luck with your sales from one mommy to another!!! Her attitude, eye rolling, interrupting everyone and arguing showed her lack of professionalism. It was irritating me and I wouldn't buy anything from her. Mark Cuban was right, she needs to hire someone that knows how to deal with people. She needs to keep those nasty faces at home behind the computer screen and she will do well. What bothered me the MOST and NOT ONE shark commented on it, was when the wife was asked why she was getting emotional...she said it was because they were having financial and credit card bill problems that were leading to martial stress BECAUSE of the cost of bibs that have to be thrown away!!! WHAT!??? I think this is a great idea, need to make it for adults in the nursing home business. It would double the customer base! why is it sized for 18 months and up? Just watched my 1 yr. old grandson make a mess on his lap in the high chair..he needs one now..